Tagged with " Fort Lauderdale"
The city of Fort Lauderdale is located in the north of Miami, Florida. Fort Lauderdale is an ideal location for tourists and visitors due to a reason that it has almost everything that you need on a vacation. The city of Fort Lauderdale was named after the series of forts during the Second Seminole War, that is why it is also called a historical city. Fort Lauderdale International Airport and Port Everglades are points of entry to millions of tourists and travelers. In this article, you will learn about four major attractions in Fort Lauderdale for tourists and travelers. 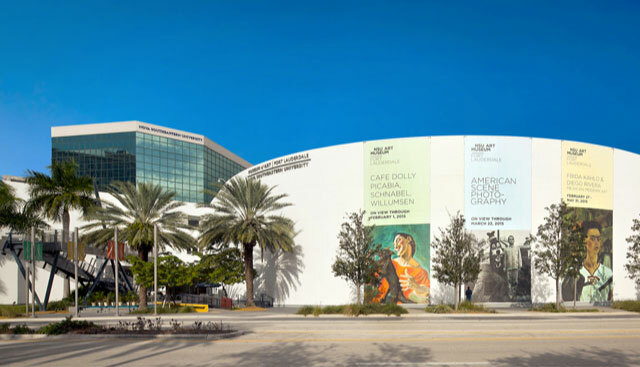 If you are visiting for the first time in Fort Lauderdale then Museum of Discovery and Science is an ideal place for you. The Museum of Discovery and Science is a perfect institution to learn about the applications of scientific methodology. Many locals also visit this museum as there is a lot to learn. Ideas and concepts of science can be explained here in a unique way. Visitors can also experience a trip to Mars in the simulator. The 3-d educational movies are also the best source of entertainment here. Broward Center for the Performing Arts is an ideal choice for you as an art lover. This fantastic art institution is located in the heart of Fort Lauderdale. Plays, Theater, Concerts, Ballets, and lectures are the usual gig of this facility. Now a day Broward Center for the Performing Arts has become the most visited art theater in America, and its world ranking is forth. Broward Center for the Performing Arts is the major attractions in Fort Lauderdale for tourists and travelers. On your trip to Fort Lauderdale, if you are looking for a recreation and fun activities to do then no place is better than Hugh Taylor Birch State Park. It is also a perfect spot for a picnic as well. Here you can do activities like cycling, fishing, and swimming. If you come to this park area, you will never be bored. You can visit this place with your partner, and when you walk hand in hand, then you will feel like that you are in an entirely different peaceful place. One of the largest attractions in Fort Lauderdale is The Swap Shop. Visitors and travelers can enjoy shopping in this 180,000 square foot air-conditioned entertainment complex. It is also a humongous facility for locals. If you are a shopaholic, then you can’t help yourself spending a day here. You will never want to leave this place. The Swap Shop is one of the major attractions in Fort Lauderdale for tourists and travelers. Pompano Beach is a Florida city very north of Fort Lauderdale. It recognized for its beaches, marinas and offshore coral reef, plus many wrecks and other dive sites. Pompano Beach claims to provide you ‘Florida’s Warmest Welcome,’ and several locals will tell you that this is one of the favorite points in the United States. In recent years Pompano Beach has begun to witness something of a second wind and is experiencing a new surge in native tourists who are flocking to this charming corner of Florida. 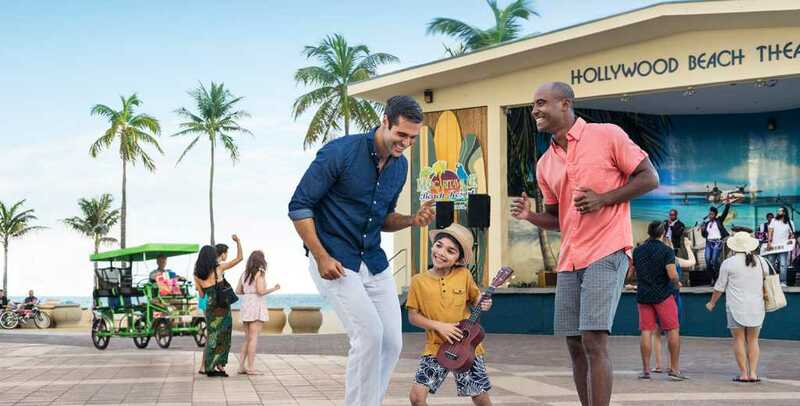 It’s positively not challenging to see why they would come, as Pompano Beach is found on the Atlantic Ocean, and has sea, sun, and sand for guests to enjoy all year round. Aside from its natural charm, there are shopping venues, excellent dining options, and exciting attractions only outside of the town such as Butterfly World near Coconut Creek. Here are six best things to do in Pompano Beach Florida. This golf course opened with a bright new look that has made it one of the added attractions in Pompano Beach. The course is open to guests and locals alike and is an excellent place to get in a few rounds of golf, or to take a lesson and try your hand if this is your initial time on the green. There is an on-site eatery here if you fancy a bite to eat as you take in the rolling scenes, as well as a pro shop and a learning center where helpful instructors will fulfill you in on how to improve your game. For those who are considering lucky in Pompano Beach, the Isle Casino Racing Pompano Park is the area to come to view if you can win big. The casino has 1,500 slots for guests to enjoy as well as 38 poker tables. If you fancy dining to the game, then there are six restaurants on site as well as a variety of live fun options from musical performances to cabaret-style shows. Also placed on the property in the ‘park’ side of the casino is a racing track where you can bet on and see greyhound races. You may not quickly think of antiques when you think of Pompano Beach, but if you make the tour to Hillsboro Antique Mall and Cafe, then you will understand that you were wrong. Here you will discover over 250 antique dealers in one area, and you can walk around at your leisure and hunt for some deals in the multiple stores. Items range from art-deco pieces to temporary artwork, to heritage and selected articles from the Florida area and further afield. Space is also dotted with cafes if you want a break from antique hunting. The Curtain Call Playhouse is on purpose to educate locals and guests alike on the arts in the Florida zone and has been in operation for nearly twenty years. To that end, the company highlights skilled performers from around the region who travel regularly so that those across the area can enjoy their theatrical work. Check the regional listings to see where they will be playing next if you need to catch a show. The company puts on an eclectic variety of productions including musical theater, dramatic pieces, and children’s productions. Pompano Beach Amphitheater is an open air show arena placed in Pompano Beach and treats a vast range of concerts and other shows throughout the year. The exciting venue can seat up to 3,000 viewers at one time, and big-name actors from around the United States routinely play here. Make sure to check the regional listings to see who is in town when you visit and take in a show under the stars in the mild Florida weather. Festival Flea Market Mall is an open-air shopping mall space that modeled around a ‘Main Street USA’ set up to make you feel like you are in a strange town in Middle America. The shopping area has over 500 various vendors, and as such, there is small that you won’t discover there if you look hard enough. General items include boutique shops, jewelry stores, antiques, high-end retailers, and even fruit and vegetable shops, all in the same space! I will visit this place more than once again in the future. Exceptional collection mainly Packards but there is much more to see. Great staff, from ladies in the office, to Bob the technician, and the detailer. Everyone is knowledgeable, curious, and passionate about there position and the museum. If you’re into antique/classic cars, specifically Packard cars, this is an amazing gallery and hosts a simply astonishing collection of vehicles, ornaments, and packard car-related paraphernalia and history which is very well explained by the tour guide who is both comprehensive and at times comical in the explanation of the history of the museum, and makes for a very fun and fulfilling experience. This is one of the greatest secrets in Fort Lauderdale. 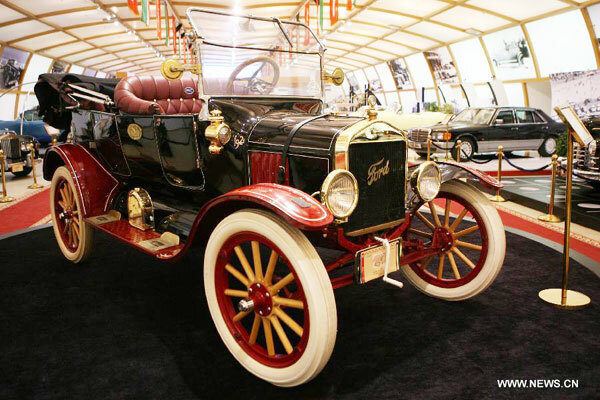 The museum has one of the best collections of Packards in the country, tracing the car line from it’s beginning thru it’s majestic history to its final days. If you love impeccably restored vintage vehicles this an inexpensive way to spend an afternoon. The museum is also available for private party rentals. Don’t leave Fort Lauderdale without visiting this museum. We were told it would take an hour – wrong. There are so many things to see, that can spend a whole afternoon in here, watching and studying all the things on display. Hollywood is a very beautiful city located on the East Coast between Fort Lauderdale and Miami. 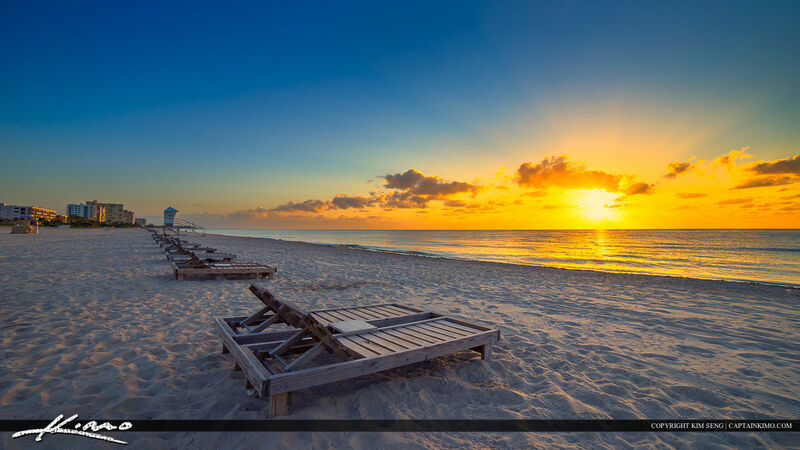 A perfect getaway in Hollywood Florida can give you a chance to recharge your energy. In this place you can get lost and forget all about your worries. It is a land of tourists and travelers. How much big you are does not matter here. Just be a part of the Hollywood, Florida for once and you will feel an enormous change in yourself. Gulfstream Park is a racetrack located in Hollywood, Florida which offers high quality entertainment to its visitors. If you have a little interest in gambling then visiting this place could be the right choice for you. Americans are very f0nd of Horse Racing, entertainment and sports activities and this specific area is very famous for that as well. Night life here is very fun and you will never know where all the time has gone. Fort Lauderdale, Hollywood and Miami areas are very famous for its night life and festivals. All around the year festivals, makes Hollywood a place truly worth visiting. If you are here with your partner then you can also book a dining table at the cruise ships. A candle light dinner with your partner could make your time memorable. The main purpose of travelling is making some new memories and a lot of new friends. These sweat memories could help a lot in your down times or time of stress. By remembering these precious memorable moments you can find energy to push your limits a little further. Fort Lauderdale and Hollywood area has become very popular because of its so many interesting places to explore. Fort Lauderdale Airport is one of the busiest Airport in Florida. It is only 10 minutes of drive form the Port Everglades and 21 miles from the city of Miami. It is a humongous International Airport a large number of terminals. In this blog you will get to know about the pickup and drop off service at Fort Lauderdale Airport. There are many companies which are enable to provide ground transportation in Fort Lauderdale but Florida Shuttle Transportation is such a company which offers reliable pick up and drop off service at Fort Lauderdale Airport. The main location of our pick-up and drop-off is South West Airlines, Terminal 1. We offer dependable ground transportation to all the locals, tourists and travelers at most affordable rates. Anyone who traveled with us once, he will always contact us because of our services. Shared or private, Florida Shuttle Transportation is the best choice for a shuttle transportation from one city to other city in whole state of Florida. Fort Lauderdale is a major city of Florida which is famous for its Fort Lauderdale international Airport and Cruise port. You can also find a verity of food here. It is also the center of Mexican and Indian food. Along the East Coast there are places which are ideal for first time travelers. In this blog you will read about some unusual destinations near Fort Lauderdale for tourists. Boca Raton or Bocaraton is located 43 miles north of Miami, Florida. It may seem theta there is nothing interesting here but this city is full of many interesting things to do. Sugar Ray Park is an ideal facility for kids of all ages where they can have a lot of fun and enjoy so many fun activities. Then there is Gumbo Limbo Environmental Complex which is a nature complex in Boca Raton, Florida. There is also Boca Raton Museum of Art which holds masters pieces of some great masters. There are many options here for outdoor recreation and fun which makes Boca Raton a very unique interesting place to explore. Pompano Beach is also an interesting place to explore here, very close to Fort Lauderdale, Highlands Park, Pompano Community Park, Hillsboro Inlet Park and North Pompano Park are among some very nice places for outdoor recreation. If you want to spend time with your family then there is also Pompano Beach Pier which is the best available location for fishing, surfing and many other beach activities.